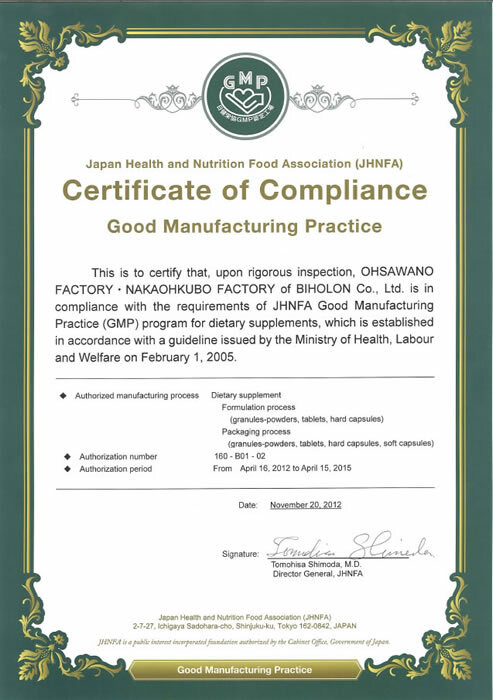 Natural Product Association (NPA) was the first organization to offer a third-party GMP certification program for the manufacturing dietary supplements and dietary ingredients. NPA GMP exceeds the U.S. Food & Drug Administration cGMPs requirement. 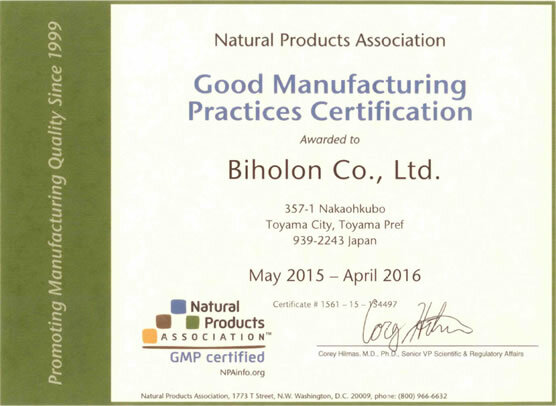 Copyright © 2014 BIHOLON CO., LTD. All Rights Reserved.